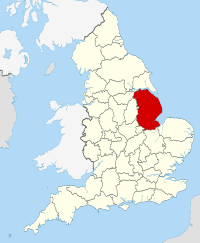 For other places with the same name, see Lincolnshire (disambiguation). 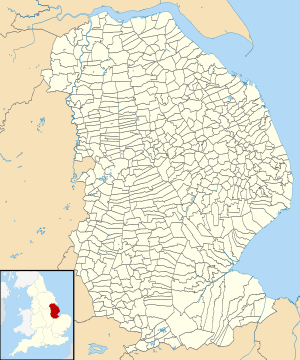 Lincolnshire (/ˈlɪŋkənʃər/ or /ˈlɪŋkənʃɪər/; abbreviated Lincs) is a county in the east of England. It borders Norfolk to the south east, Cambridgeshire to the south, Rutland to the south west, Leicestershire and Nottinghamshire to the west, South Yorkshire to the northwest, and the East Riding of Yorkshire to the north. It also borders Northamptonshire in the south for just 20 yards (18 m), England's shortest county boundary. The county town is Lincoln, where the county council has its headquarters. 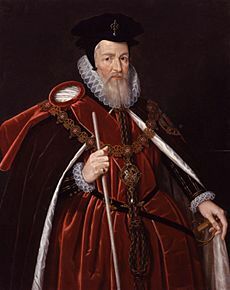 The ceremonial county of Lincolnshire is composed of the non-metropolitan county of Lincolnshire and the area covered by the unitary authorities of North Lincolnshire and North East Lincolnshire. Therefore, part of the ceremonial county is in the Yorkshire and the Humber region of England, and most is in the East Midlands region. The county is the second-largest of the English ceremonial counties and one that is predominantly agricultural in land use. The county is fifth largest of the two-tier counties, as the unitary authorities of North Lincolnshire and North East Lincolnshire are not included. The county can be broken down into a number of geographical sub-regions including: The rolling chalk hills of the Lincolnshire Wolds. In the south east are the Lincolnshire Fens (south-east Lincolnshire), the Carrs (similar to the Fens but in north Lincolnshire), the industrial Humber Estuary and North Sea coast around Grimsby and Scunthorpe, and in the south-west of the county, the Kesteven Uplands, comprising rolling limestone hills in the district of South Kesteven. Lincolnshire derived from the merging of the territory of the ancient Kingdom of Lindsey with that controlled by the Danelaw borough of Stamford. For some time the entire county was called "Lindsey", and it is recorded as such in the 11th-century Domesday Book. 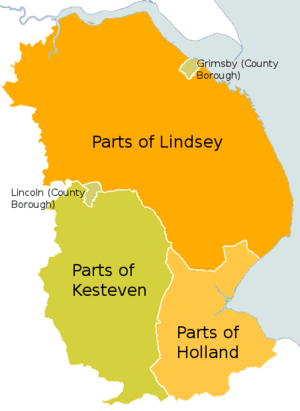 Later, the name Lindsey was applied to the northern core, around Lincoln, and this emerged as one of the three Parts of Lincolnshire, along with the Parts of Holland in the south-east and the Parts of Kesteven in the south-west, which each had separate Quarter Sessions as their county administrations. In 1888 when county councils were set up, Lindsey, Holland and Kesteven each received separate ones. These survived until 1974, when Holland, Kesteven, and most of Lindsey were unified into Lincolnshire. 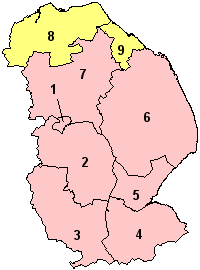 The northern part of Lindsey, including Scunthorpe Municipal Borough and Grimsby County Borough, was incorporated into the newly formed non-metropolitan county of Humberside, along with most of the East Riding of Yorkshire. A local government reform in 1996 abolished Humberside, and the land south of the Humber was allocated to the unitary authorities of North Lincolnshire and North East Lincolnshire. 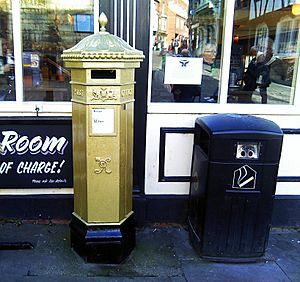 These two areas became part of Lincolnshire for ceremonial purposes such as the Lord-Lieutenancy, but are not covered by the Lincolnshire police and are in the Yorkshire and the Humber region. 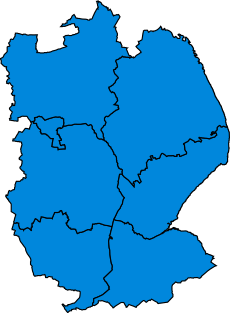 The remaining districts of Lincolnshire are Boston, East Lindsey, Lincoln, North Kesteven, South Holland, South Kesteven, and West Lindsey. They are part of the East Midlands region. The area was shaken by the 27 February 2008 Lincolnshire earthquake, reaching between 4.7 and 5.3 on the Richter magnitude scale; it was one of the largest earthquakes to affect Britain in recent years. Lincolnshire is home to Woolsthorpe Manor, birthplace and home of Sir Isaac Newton. He attended The King's School, Grantham and its library has preserved his signature, applied to a window sill when he was a teenager. 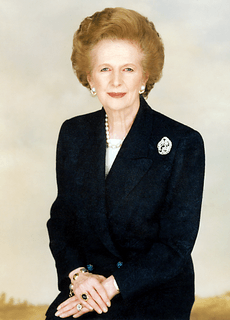 The Conservative Party won nine seats in the 2010 United Kingdom general election in Lincolnshire, considerably increasing their vote share at the expense of Labour, taking Gillian Merron's Lincoln constituency. 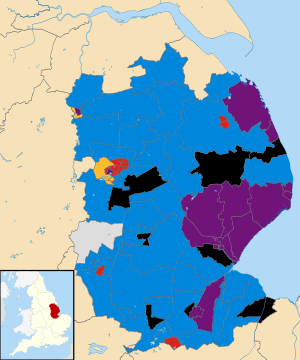 A coalition of Conservatives, Liberal Democrats and Independents currently controls Lincolnshire County Council, with Labour as the opposition party. The Conservative Party comfortably controlled the County Council following the 2009 local elections, in which they increased their majority to 43 seats. The Labour Party lost a total of 15 seats including 7 in Lincoln, whilst the Liberal Democrats lost three. The Lincolnshire Independents gained a total of four seats, although one of their number moved to the Conservative group during 2010, increasing the number of Conservative seats to 61. The collective group of the Lincolnshire Independents, the Boston Bypass Party and other independent councillors formed the opposition for the four-year term. In the 2013 County Council elections, the Conservatives lost their majority and formed a coalition with the Liberal Democrats and independents. The UK Independence Party made significant gains from the Conservatives, particularly around the town of Boston, due to opposition to Eastern European immigration. UKIP were initially the main opposition party with 16 councillors, but now have only 10 after the others broke away to form a new party, UKIP Lincolnshire. The latter group are currently looking at changing their name to remove the "UKIP" reference altogether. The 1975 EC membership referendum was the first major referendum ever to be held within the county, and saw a large majority of voters approve continued membership of the then European Communities within non-metropolitan Lincolnshire and also Humberside, which included northern parts of historic Lincolnshire. The referendum was held on Thursday 5 June 1975 with all the votes counted centrally under the provisions of the Referendum Act 1975. The result was declared on the following day. The result above only includes non-Metropolitan Lincolnshire as parts of historic northern Lincolnshire made up part of Humberside at the time. The United Kingdom Alternative Vote referendum, 2011 was the first to be held within Lincolnshire since the 1975 EC membership referendum and was only the second time that the people of Lincolnshire have been asked to vote in a referendum. The referendum asked voters whether to replace the present "first-past-the-post" (simple plurality) system with the "alternative vote" (AV) method for electing MPs to the House of Commons in future general elections. The proposal to introduce AV was overwhelmingly rejected by voters with all eight counting areas within Lincolnshire returning significant "no" votes. The seven shire-districts, and two unitary authorities within Lincolnshire were used as the Counting Areas. On Thursday 23 June 2016, in the EU referendum, the people of Lincolnshire voted for the second time on the issue of the UK's continued membership of the European Union . Of the ten MPs which represented the historic county at the time six MPs Andrew Percy, Martin Vickers, Edward Leigh, Karl McCartney, Nick Boles, Stephen Phillips and John Hayes supported a "Leave" vote with four MPs Matt Warman, Victoria Atkins, Melanie Onn and Nic Dakin who supported a "Remain" vote. The seven shire-districts, and two unitary authorities within Lincolnshire were used as the voting areas. 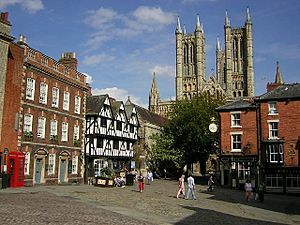 The non-metropolitan county of Lincolnshire has no major urban areas, apart from the areas in and around Lincoln and Boston. However, the Skegness, Ingoldmells and Chapel St Leonards areas (and to a lesser extent the Sutton-on-Sea and Mablethorpe areas) along the Lincolnshire coast are becoming increasingly urbanised, as people holiday at large caravan sites during the summer. These holidaymakers are not reflected in census or local population figures, though it is estimated that at the height of the summer months there are over 100,000 such residents in these coastal areas. This has an appreciable impact on the local infrastructure and amenities. 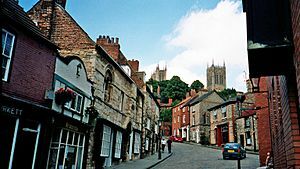 For a more detailed list of the largest populated towns see the List of settlements in Lincolnshire by population page. For a full list of Lincolnshire towns and villages see the List of places in Lincolnshire page. The centre of Skegness, showing the clock tower and the "Jolly Fisherman" sculpture/fountain. The majority of tourism in Lincolnshire relies on the coastal resorts and towns to the east of the Lincolnshire Wolds. The county has some of the best-known seaside resorts in the United Kingdom, which are a major attraction to visitors from across England, especially the East Midlands and parts of Yorkshire. 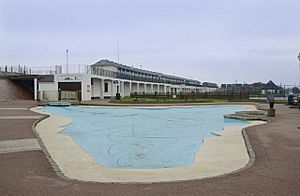 There are three main coastal resorts in Lincolnshire, and several smaller village resorts. 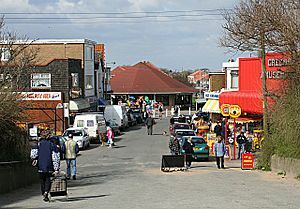 The main county seaside resort of Skegness with its famous Jolly Fisherman mascot and famous slogan "Skegness is so bracing", together with its neighbouring large village coastal resorts of Ingoldmells and Chapel St Leonards, provides the biggest concentration of resorts along the Lincolnshire Coast, with many large caravan and holiday sites. The resort offers many amusements, beaches, leisure activities and shops, as well as Butlins Skegness, Fantasy Island, Church Farm Museum, Natureland Seal Sanctuary, Skegness Stadium, Skegness Pier and several well-known local golf courses. There are good road, bus and rail links to the rest of the county. 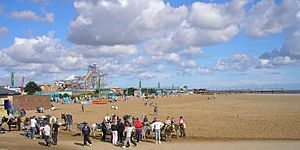 The second largest group of resorts along the coast is the small seaside town of Mablethorpe, famous for its golden sands, and the neighbouring village resorts of Trusthorpe and Sutton-on-Sea. This area also offers leisure activities, and has large caravan and holiday sites. But the area is less developed, with fewer amusement arcades and nightclubs, and poorer road links to the rest of the county; but the area offers a more traditional seaside setting. The rail service to these towns was axed in the Beeching cuts. 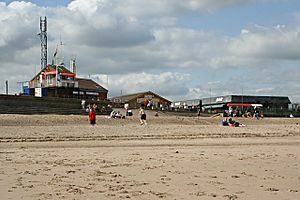 The third group of resorts includes the seaside town of Cleethorpes and the large village resort of Humberston within North East Lincolnshire. It has Pleasure Island Family Theme Park, Cleethorpes Coast Light Railway and Cleethorpes Pier along with its local golf courses and caravan and holiday sites. Cleethorpes is well-served by road and rail; it is easily accessible from the M180 and the TransPennine Express route to Manchester. Nature is an attraction for many tourists: the south-east of the county is mainly fenland that attracts many species of birds, as do the nature reserves at Gibraltar Point, Saltfleetby and Theddlethorpe. The reserve at Donna Nook also has a native seal colony popular with nature lovers. The market towns of the Lincolnshire Wolds (Louth, Alford, Horncastle, Caistor and Spilsby) are also attractive, with several having historic links. [with what?] The Wolds are quite popular for cycling and walking, with regular events such as the Lincolnshire Wolds Walking Festival. 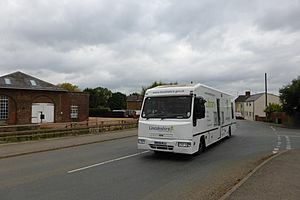 Lincolnshire mobile library at Pode Hole. Lincolnshire County Council operate five routes, covering small villages in this large, sparse, county. Each location is visited once a month. Lincolnshire is a rural area where the pace of life is generally much slower than in much of the United Kingdom. Sunday is still largely a day of rest, with only shops in Lincoln, larger market towns, and resorts and industrial towns of the North Sea coast generally remaining open. Some towns and villages in the county still observe half-day closing on Thursdays. Due to the large distances between the towns, many villages have remained very self-contained, with many still having shops, pubs, local halls and local chapels and churches, offering a variety of social activities for residents. Fishing (in the extensive river and drainage system in the fens) and shooting are popular activities. A lot of the culture in Lincoln itself is based upon its history. The Collection is an archaeological museum and art galley in Lincoln. Lincoln Cathedral also plays a large part in Lincoln's culture, playing host to many events throughout the year, from concert recitals to indoor food markets. A Lincolnshire tradition was that front doors were used for only three things: a new baby, a bride, and a coffin. Lincolnshire is relatively unusual in the composition of its population, being one of the least ethnically diverse counties of the United Kingdom (98.5% of the population describe themselves as "white"). Over recent years inward migration by people from ethnic minority communities has increased (particularly to population centres such as Lincoln and Boston) but the absolute number of non-white Lincolnshire residents remains very low. Recently, the county has also witnessed a growing trend towards immigration of retired people from other parts of the United Kingdom, particularly those from the southern counties of England attracted by the generally lower property prices and the slower and more relaxed pace of life. The relatively high proportion of elderly and retired people is reflected in many of the services, activities and events. Sleaford is considered one of the fastest-growing towns in the East Midlands, with many professional people moving there to benefit from the (relatively) low house prices and crime rate, and the selective education. Those born in Lincolnshire are sometimes given the nickname of Yellowbellies (often spelt "Yeller Bellies", to reflect the pronunciation of the phrase by the typical Lincolnshire farmer). The origin of this term is debated, but is most commonly believed to derive from the uniform of the 10th Regiment of Foot (later the Lincolnshire Regiment) which featured yellow facings. For this reason, the coat of arms of Lincolnshire County Council is supported by two officers of the regiment. 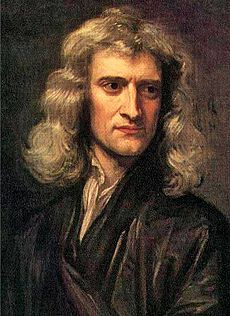 Sir Isaac Newton, celebrated Mathematician, Physicist, Natural Philosopher, Astronomer, Biblical theologist, alchemist, Warden and Master of the Mint, the second Lucasian Professor of Mathematics at the University of Cambridge, and President of the Royal society. One of the Founding Fathers of the United States, Thomas Paine, who was appointed as a Grantham-based excise officer in December 1762. 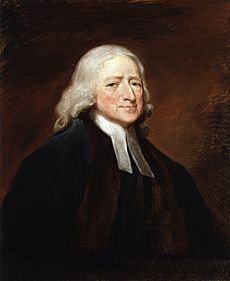 Founders of the Methodist movement John Wesley and Charles Wesley. Elaboration of standard English /eɪ/ or /iː/ into a complex triphthong approximating, and often transcribed -air- or -yair-. For example: "mate" [m(j)ɛːət]; "beast" [b(j)ɛːəst]; "tates" (potatoes) [t(j)ɛːəts]. An equivalent elaboration of standard English /oʊ/ – commonly [oː] in Northern England – into -ooa-. For example, "boat" [bʊːət]. Insertion of an extra schwa into the standard English diphthong /aʊ/. 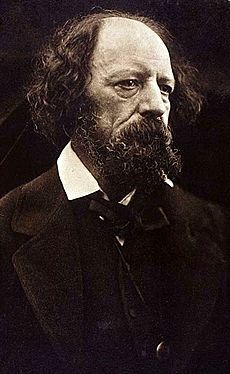 Vocabulary: "duck" as a term of endearment or informal address, "mardy" meaning upset or angry, "mowt" (pronounced like mout) for might,"while" as a substitute for standard English "until", "frit" meaning frightened, "grufty" meaning dirty or disgusting, and the inimitable salutation "now then!?" (hello), sometimes written nairn to reflect pronunciation. In the north east of the county, around Grimsby and Immingham, the nurse-square merger can be heard, as is also the case along the east coast of Yorkshire and coincidentally also in Liverpool. Words that take /ɜː/ in RP take /ɛː/ in these areas. Lincolnshire has its own dialect "champion", a farmer from the village of Minting called Farmer Wink (real name Robert Carlton), who has produced videos about rural life, narrated in his broad Lincolnshire accent, and who has a regular slot on BBC Radio Lincolnshire. A resident of Woodhall Spa, ironically one of the Lincolnshire settlements least aligned to the county's architectural style, has published a dictionary of words once prevalent in parts of the county. Lincolnshire was historically associated with the Lincolnshire bagpipe, an instrument derided as a coarse and unpleasant instrument in contemporary literature, but noted as very popular in the county. The last player, John Hunsley of Middle Manton, died in 1851, and since then the instrument has been extinct. In 1937, Percy Grainger wrote his Lincolnshire Posy for wind band. The piece is a compilation of folk songs "musical wildflowers" collected by the composer in and around the county of Lincolnshire. The Lincolnshire Poacher is a traditional English folk song associated with the county of Lincolnshire, and deals with the joys of poaching. It is considered to be the unofficial county anthem of Lincolnshire. Stuffed chine – this is salted neck-chine of a pig taken from between the shoulder blades, salted for up to ten months and stuffed with parsley (other ingredients are normally kept secret), and served cold. Haslet – a type of pork loaf, also flavoured with sage (pronounced HAYSS-let or AYSS-let in Lincolnshire but HAZ-let in many other parts of the country). Lincolnshire sausages – most butchers in Lincolnshire have their own secret recipe for these and a competition is held each year to judge the best sausages in the county. 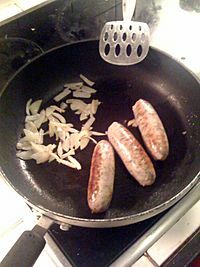 Traditional Lincolnshire sausages are made entirely from minced pork, stale bread crumb (rusk is used nowadays) pepper, sage and salt. The skins should be natural casings which are made from the intestines of either sheep or pig. Pork pies – the same pork butchers will take a pride in their unique recipe for pork pies. Plum bread – as with plum pudding, plum refers to dried fruit, namely currants, raisins and sultanas, sometimes soaked in tea. Grantham Gingerbread – a hard white ginger biscuit. Lincolnshire Poacher cheese – cheddar cheese produced in Alford. Lincolnshire Poacher has won numerous awards over the years including Supreme Champion at the 1996/7 British Cheese Awards and Best British Cheese at the World Cheese awards in 2001/2. Batemans ales – a beer brewed in Wainfleet and served in many pubs in the county and further afield. There are several small breweries. Grimsby is renowned for its fishing industry, and historically Grimsby Fish has carried a premium price. Since the decline of the fishing industry following entry to the European Economic Community in the 1970s this is no longer the case, with the majority of fish sold at the town's fish market being brought overland from other ports. However, Grimsby Fish is still a recognised product, one associated with a particular area that specialises in and has expertise in a particular trade (cf Sheffield steel). In 2009 smoked fish from the town was granted Protected Geographical Indication by the European Union, reflecting the unique smoking methods used by certain local fish companies. Craft Chocolatiers can be found throughout the county, such as Hansens in Folkingham. In 2013 Redstar Chocolate's Duffy's Venezuela Ocumare Milk won a Gold medal as best bean-to-bar. The factory is in Cleethorpes. Every year the Lincolnshire Agricultural Society, founded in 1869, stages the Lincolnshire Agricultural Show. It is held on the Wednesday and Thursday of the last whole week of June at its showground at Grange de Lings, a few miles north of Lincoln on the A15. The show was first held here in 1958. First held around the year 1884, it is one of the largest agricultural shows in the country, and is attended by around 100,000 people over its two days. The showground is in regular use throughout the year for a wide range of other events and functions. Smaller local agricultural shows, such as the Heckington Show can still be found. Corby Glen sheep fair has been held since 1238. 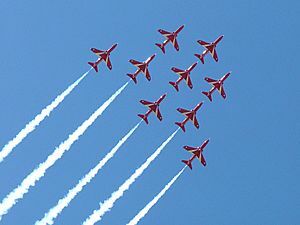 Each year RAF Waddington is the home to the RAF International Waddington Air Show. The two-day event attracts around 150,000 people and usually takes place during the first weekend of July. Since its inception over 35 countries have participated, with aircraft from around the globe attending the Lincolnshire Base. Beginning 2017, the event will be held at nearby RAF Scampton. On the Monday before Easter, an unusual auction takes place in Bourne to let the grazing rights of the Whitebread Meadow. Bidding takes place while two boys race toward the Queen's Bridge in Eastgate, the end of which dash is equivalent to the falling of the gavel. 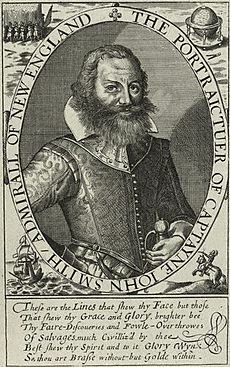 The whole affair dates back to the 1742 will of William Clay. The Haxey Hood village competition takes place every January, as it has for over 700 years. Stamford Mid-Lent fair sees showmen converge on the town the week after Mothering Sunday, with rides and sideshows filling Broad Street, the Sheepmarket and the Meadows for a week. Stalls selling Grantham gingerbread and nougat are a traditional feature. The following week sees them in Grantham, on the way North for the Summer. Roger Tuby brings a small funfair to Bourne and then to Spalding in Spring and returns in Autumn at the end of the season. The villages of Tetford and Salmonby hold an annual Scarecrow Festival in May every year. The Belchford Downhill Challenge which is held every two years: soapbox racers race down the hill at up to 30 km/h. The turnout has been up to 1,000. In recent years Lincoln Christmas Market, a street market throughout historic area of the city, has been held at the start of December. Around the same time Christmas lights are turned on in Bourne, Sleaford, Skegness, and other towns. Throughout the summer the Stamford Shakespeare Company presents the Bard's plays in the open-air theatre at Tolethorpe Hall, which is actually in Rutland. The Spalding Flower Parade is held in late spring every year. Colourful floats decorated with tulip heads compete for a cup. The tradition was started in 1959 and draws coach tours from across Britain. Two teams from Lincolnshire play in the Football League: Scunthorpe United play in Football League One, while Grimsby Town play in Football League Two. In non-league football Lincoln City play in the Conference National, whilst Boston United and Gainsborough Trinity play in the Football Conference North. In cricket Lincolnshire are a minor county and play in the Minor Counties Championship. In hockey Lindum Hockey Club play in the North of Lincoln. There is no major rugby union team from Lincolnshire; however, the sport is played in many schools throughout the county. Lincolnshire is home to one racecourse, at Market Rasen. Cadwell Park is the only motor racing course in Lincolnshire. There is a speedway track in Scunthorpe, home of the Scorpions, and stock-car racing at a stadium at Orby, near Skegness. Lincolnshire is home to the UK roller derby team the Lincolnshire Bombers Roller Girls, who are sponsored by Motörhead. The unofficial anthem of the county is the traditional folk song, "The Lincolnshire Poacher", which dates from around 1776. A version of the song was the theme to BBC Radio Lincolnshire for many years. According to a 2002 marketing campaign by the charity Plantlife, the county flower of Lincolnshire is the Common Dog-violet. 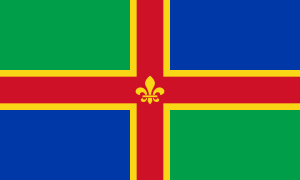 In August 2005, BBC Radio Lincolnshire and Lincolnshire Life magazine launched a vote for a flag to represent the county. Six competing designs were voted upon by locals. 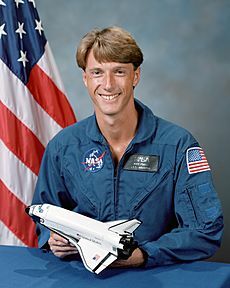 The winning submission was unveiled in October 2005. Lincoln has its own flag – St George's flag with a Fleur-de-Lys. 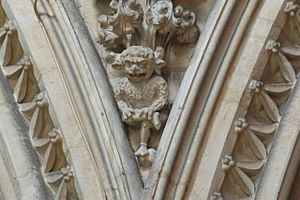 The Lincoln Imp has symbolised Cathedral, City, and county for many years. In 2006 it was replaced as the brand of Lincolnshire County Council by the stylised version seen on the header here  which has lost even the unique pose of the carving. The county is home to one daily newspaper, the Grimsby Telegraph which as the name suggests, is published in the town and whose circulation area ostensibly covers North East Lincolnshire, although it reaches as far south as Louth and Alford and as west as Brigg. There are two further weekly papers which used to be published daily until 2011; the Lincolnshire Echo is published weekly from Lincoln and covers the majority of the county reaching as far north as Louth, and the Scunthorpe Telegraph which covers northern Lincolnshire. All three are ultimately owned by the Daily Mail and General Trust. There are also a number of weekly papers serving individual towns published in the county by Johnston Press. One of these, the Stamford Mercury claims to be Britain's oldest newspaper, although it is now a typical local weekly and no longer covers stories from the whole East Midlands as the archived copies did. Typhoon FGR.4 aircraft, based at RAF Coningsby. Because of its flat geography and low population density, Lincolnshire is an ideal place for airfields, and the RAF built prolifically in the county, which has hosted nearly seventy separate bases. With the drawdown of the RAF, most stations have closed, but the RAF retains a significant footprint. For more information on former bases, see here. 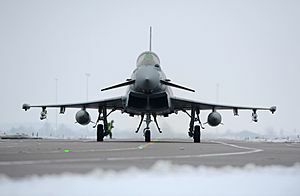 Lincolnshire is currently home to a number of RAF Stations, including two major front-line bases, RAF Coningsby, which houses Typhoon jet fighters, and RAF Waddington, where most of the RAF's Intelligence, Surveillance, Target Acquisition and Reconnaissance aircraft are based. Other stations in Lincolnshire include RAF Cranwell, home of all basic Officer training for the Royal Air Force, RAF Scampton, home of the Red Arrows, RAF Barkston Heath, a training airfield, and minor bases such as RAF Kirton in Lindsey, RAF Holbeach, RAF Donna Nook and RAF Digby. The Army runs Sobraon Barracks, home of 160 (Lincoln) Squadron, Royal Logistic Corps, as well as Prince William of Gloucester Barracks, Grantham, home to some of the RLC's Phase 2 training and the PTI School. Lincolnshire Facts for Kids. Kiddle Encyclopedia.